Year is 2025. The Japanese government, in order to cope with the massive air pollution and endless economic loss of Tokyo, transfers the capital to "Neo Tokyo", a dome city built on the Tokyo Harbor. A few years later, abandoned "Old Tokyo" becomes the battleground for "Rumbling". In Rumbling, the contenders face each other while riding highly mobile armored land vehicles called "Scoobees", and receive fortune and fame by destroying others. It's now the year 2031, the Rumbling is the biggest hit the entertainment business ever had! Other games developed by Genki Co.
Be the action hero in Maximum Chase, the high-octane driver/shooter that puts you behind the wheel in high-speed chases and on the trigger in wild shootouts as you fill in the pieces of a blockbuster film. As police investigator Rick Summer, you must.. In the game, the thrill of speed and the threat of law collide in the adrenaline-fuelled world of street racing. 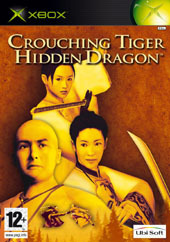 The streets of LA and Miami are the battlefield where players must prove themselves by taking on dangerous racing missions and all potent..
Set in 19th-century, Crouching Tiger, Hidden Dragon is a martial arts fighting game based on the classic teachings and techniques of the Wudan style. 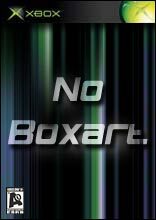 Combining adventure and intense, dynamic combat and the ability to explore lush, interactive environ..
More Games from Genki Co.